Review: "PromoRepublic is two apps in one, and takes the headache out of social media"
We use PromoRepublic (PR) to handle all of our organization's social media scheduling. Like other schedulers, it allows us to schedule posts on a variety of social networks on the times and dates we choose. Unlike other schedules, it also contains a constantly evolving library of post ideas and templates that can be very helpful depending on your industry. The scheduler is great, and it even provides recommendations for what to post when. They're constantly offering educational webinars on how to get the most out of not only their product, but SMM in general. The library of editable posts is a real differentiator, though it won't help all industries equally. PR is two tools in one: a schedule and a content library. The content library is definitely more suitable for the most common types of businesses (ecommerce, retail, etc). Mainstream businesses will be able to use most of the content library with very little adaptation. A more niche industry might not get much use out of the library at all. However, at the bare minimum, they're nice design templates. User Review: "I love PromoRepublic"
I use PromoRepublic as my primary social media management tool. I use it on behalf of my companies marketing team, and I use it to monitor and post to all of our primary social media platforms. Generates post ideas and curated content. If I'm out of ideas on content for the week/month I can usually peruse their prepared content to generate ideas. Timed posting based on our current engagement rates. Helps me to decide the ideal times to post to ensure the greatest amount of engagement. Easy post editor. Has a plethora of images and fonts I can use to make an eye-catching copy for our social media. No direct posting to IG. I still have to have photos sent to my phone before I can post on Instagram. Overall, PromoRepublic is a time saver. I love the calendar that reminds you of various holidays which opens the door for more content ideas. I have often been overwhelmed by creating new content, and often a quick search through there "Post Ideas," will help me create something new and fresh. PromoRepublic Review: "Unburden Yourself of Social Media"
I use PromoRepublic for clients and for myself personally. It makes it easy to see what posts have been done, what are upcoming, and what the analytics are on all the posts. A visual calendar where you can see all the posts with the art, not just the words. I'd like to be able to drag and drop posts to different dates and times from the calendar view. I'd like to be able to duplicate an entire post from the calendar view and drag it to another date and time. If you are an agency doing social media accounts for clients, use this as a jumping off point. Don't use their ideas exactly as is. The client could see the post somewhere else on someone else's social media page and that will just piss off your client. And it will make your agency look like plagiarists. PromoRepublic makes it really easy to design original posts and for getting great ideas. Consider the client before you use PromoRepublic's content straight out of the box. When appropriate, if I use PromoRepublic's content exactly as is, I will tell the client that I'm using a curation service so they are aware up front. 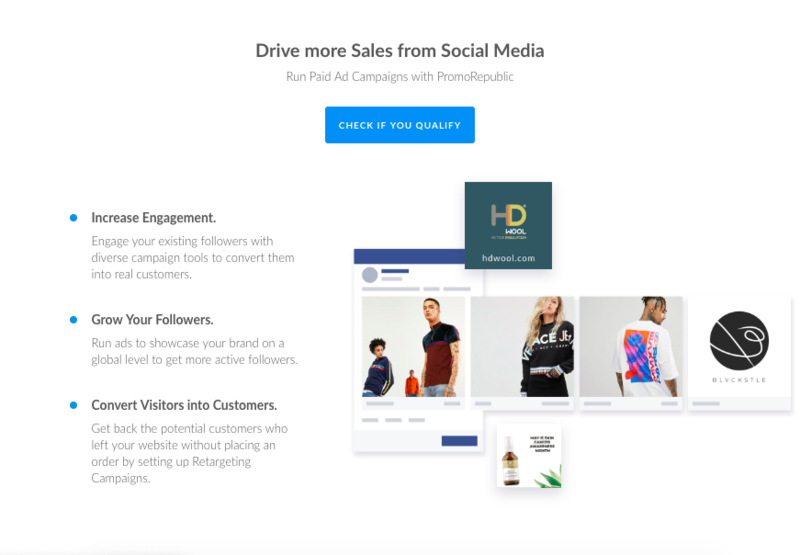 PromoRepublic is a social media marketing platform for small businesses, multi-location businesses, agencies, freelancers, marketers and even franchisors. It offers features from content creation to smart slots. 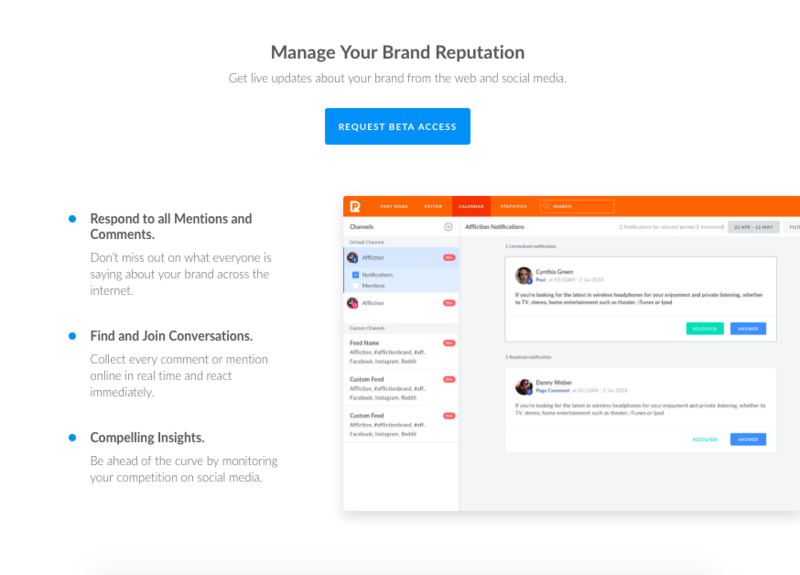 The vendor says PromoRepublic is used by more than 12,000 small businesses, agencies and marketers worldwide, and has been recognized by media companies like TechCrunch, The Next Web, Social Media Today and ChiefMarTec. Headquartered in 4 cities across the globe, PromoRepublic promises to provide top-tier live support to its users, and educate its clients with online academies, courses, and free weekly webinars. Has featureDrag-and-drop Graphics Editor to customize templates (logo, texts & colors) and create stunning posts from scratch. Has featureMonitoring brand mentions on Google My Business, Yelp, Instagram, Facebook, and Twitter. Team packages and Enterprise packages are available.